Aldi Australia is upping the corporate and social responsibility standards it expects of its suppliers. According to The Australian, in a presentation and through documents, Aldi has asked Australian suppliers to sign up to a range of international ethical sourcing groups and start auditing their own supply chain and manufacturing systems. The report said from August 2017, suppliers need to include key social audit information in tenders and by November 2017 need to be either a member of Supplier Ethical Data Exchange or the Business Social Compliance Initiative. In a statement to Australian Food News, an Aldi spokesperson said Aldi’s corporate responsibility principles guide Aldi through its day-to-day actions and it is important it partners closely with its suppliers to achieve high standards. 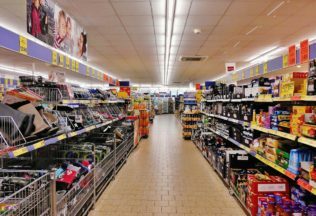 “Although the prices of our products are low, social compliance is integral to the quality of our products and we will never sacrifice one for the other,” Aldi’s spokesperson said. Aldi’s spokesperson stated that as part of supplier contracts, suppliers agree to respect Aldi’s Social Standards in Production. To help align values, Aldi has conducted ongoing training sessions since 2013. “Our corporate responsibility team, who lead the sessions, form strong relationships with our suppliers and buying teams so that they can continuously monitor and improve the social standards in our supply chain. This forms the basis of our Social Monitoring Program,” Aldi’s spokesperson said. Aldi’s spokesperson said that the program was just one part of its commitment to social corporate responsibility. “In addition to requiring high social standards throughout the supply chain, we also aim to: source raw materials responsibly, lessen our impact on the environment, support Australian businesses and give back to the communities we operate in, and help make healthy choices affordable for our customers,” Aldi’s spokesperson said.